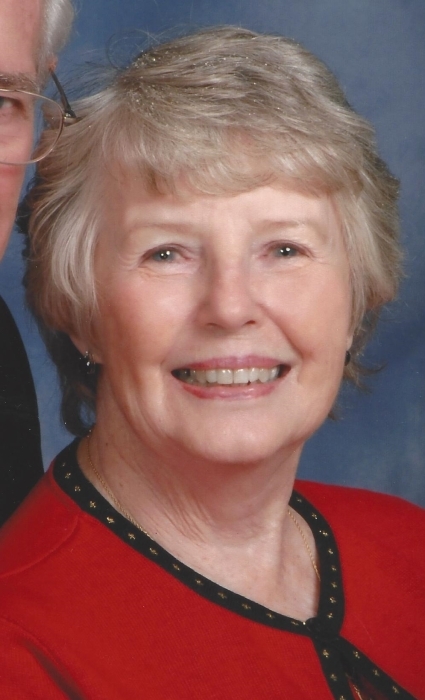 Laura Mersino, 79, of Fostoria passed away Friday, September 28, 2018 at McLaren Lapeer Regional. Laura was born July 18, 1939 in Oxford, Mi. to Harlan and Doris (Bailey) French. Laura grew up in Oxford and graduated from Oxford High School. Laura graduated from Pontiac Business Institute. Laura worked at Pioneer Bank and retired from St. Peter & Paul as a bookkeeper. Laura married Dennis Mersino on March 1, 1957. Laura was a member of St. Patrick’s Chapel, St. Patrick’s Woman’s Club, St. Vincent de Paul Society and the Forty & Eight FEMMS Club. Laura also volunteered at the North Branch Thrift Shop. Laura enjoyed working in her garden and reading and spending time with her family. Laura is survived by her loving husband, Dennis, children Kenneth (Lisa), Jeanette (Bob) Jones, Lisa (Jim) Causey, Anthony (Norma), Scott (Jeanette), Angelo (Becci), Theodore (Deborah) and Keith (Laura Bearer), her brothers Harlan French, Lowell (Marlene) French and Bruce French. Laura is also survived by 23 grandchildren and 16 great-grandchildren. Laura was preceded in death by her parents, son Martin and brothers James and Donald French and sister Nina Sauser. Memorials may be made to St. Patrick’s Chapel. Visitation will be Monday, October 1, 2018, 2:00-8:00 P.M. with Rosary at 2:30 P.M. at Blackburn Chapel-Martin Funeral Home. On Tuesday, October 2, 2018 Laura will lie in state 10:00-11:00 A.M. at St Peter & Paul Catholic Church in North Branch with Funeral Mass at 11:00 A.M. with Father Richard Treml officiating. Laura will be laid to rest next to her son Martin at St. Patrick’s Cemetery in Clifford.